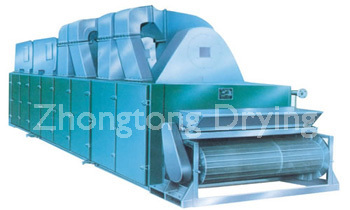 DW Single-layer Mesh-Belt Conveyor Dryer - Changzhou Fushite drying Engineering Co., Ltd.
● The air volume, heating temperature, material adhesion time or belt and feed speed can be adjusted to achieve the best drying effect. ● The device configuration is very flexible. It can use a mesh belt cleaning system and a cooling material system. ● Recycling hot air can save energy. ●Unique air separation device makes the hot air evenly distributed; this can guarantee the quality of the product. ● Heating source can be selected from steam, conducting heat oil, electricity, coal furnace and oil burner. 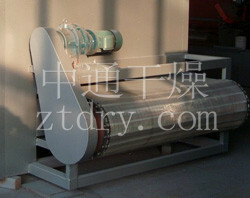 The material is evenly distributed on the mesh belt through the material feeder. The mesh belt is generally made of 12-60 mesh stainless steel mesh, it is driven by the transmission mechanism and moves inside the dryer. The dryer consists of several parts. For each part, the hot air is circulated separately. Part of the exhausted gas is discharged by a special exhaust blower. The exhaust gas is controlled by a regulating valve. Hot air passes through the mesh belt with the material and evaporate the water. The mesh belt moves slowly and the running speed can be adjusted freely according to the material properties. The final product after the drying process will continuously fall into the material collector. The top and low circulation units are freely available upon request.The quantity of segments/sectional parts can be selected based on production needs. 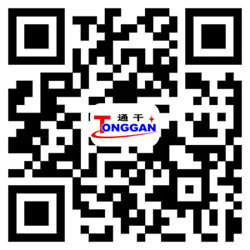 Dehydrated vegetables, pelleted feed, monosodium glutamate, coconut, organic plastics, synthetic rubber, acrylic fiber, pharmaceuticals, medicinal materials, small wood products, plastic products, electronic components aging, curing, etc.